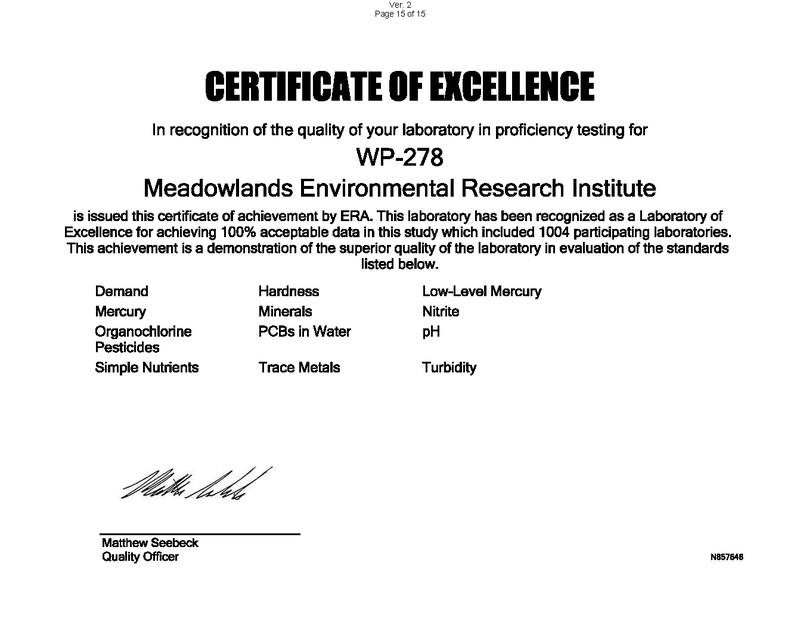 In April 2018, Meadowlands Environmental Research Institute (MERI) laboratory finished their annual Proficiency Testing (PT) study. All of the 60 certified parameters, including trace metals, low-level mercury, PCBs, organochlorine pesticides, minerals, simple nutrients, pH and turbidity, have been evaluated and considered as acceptable. MERI laboratory has been recognized as a Laboratory of Excellence for achieving 100% acceptable data in this study which included 1004 participating laboratories. This achievement is a demonstration of the superior quality of the laboratory performance.